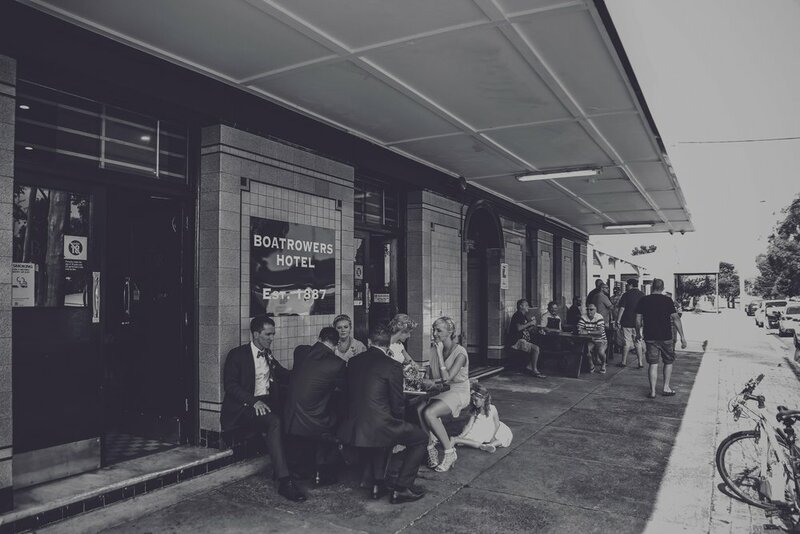 The Bar at the Boatrowers is one of the few remaining heritage 'oval' bars to be found in NSW. Essentially unchanged since construction in 1929, it has a character and charm that is dear to locals and appreciated by visitors. Don't expect any 'renovation' of this great old bar anytime soon! Welcome to The Boatie's Bistro which features a diverse menu offering classic pub favourites, $12 lunch specials and set dinner specials. 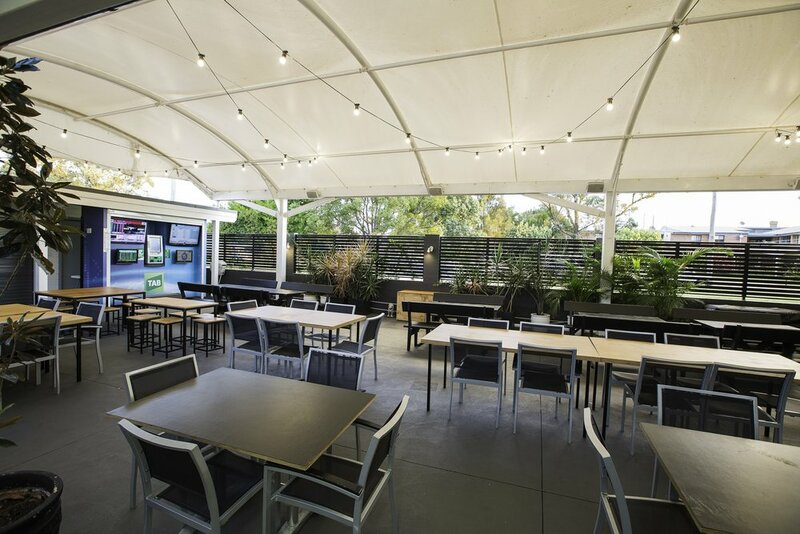 There’s plenty of space with meals served in the Main Bar, Bistro, Function Room and Beer Garden. The Boatrowers offers 7 recently refurbished pub-style rooms. 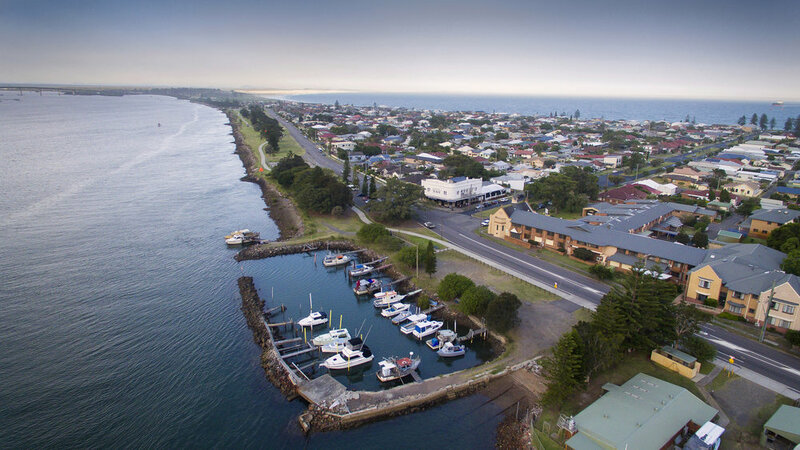 The Hotel is 1 km from the Stockton - Newcastle Ferry Wharf and in close proximity to Williamstown Airport, and greater Newcastle via the Stockton Bridge. There are 5 double rooms with new queen ensembles and 2 single rooms. 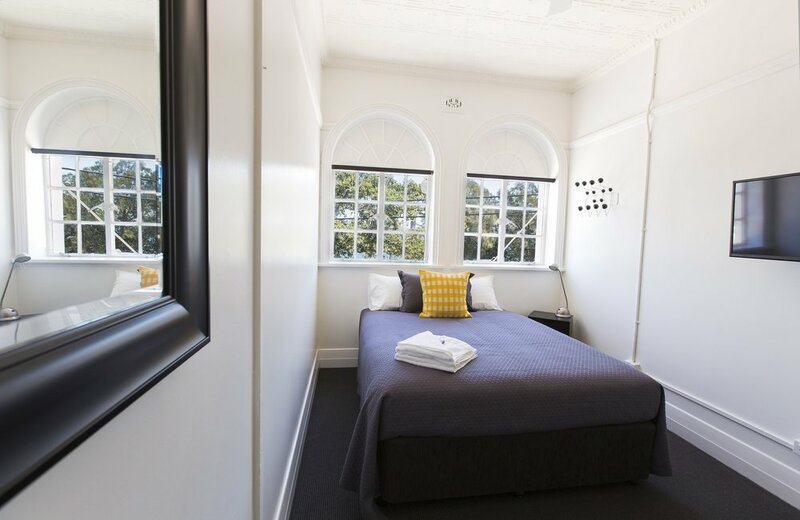 Fresh linen, towels and toiletries are provided along with easy access to shared bathrooms and a communal kitchen. You will always get the best rate available by booking direct with us. 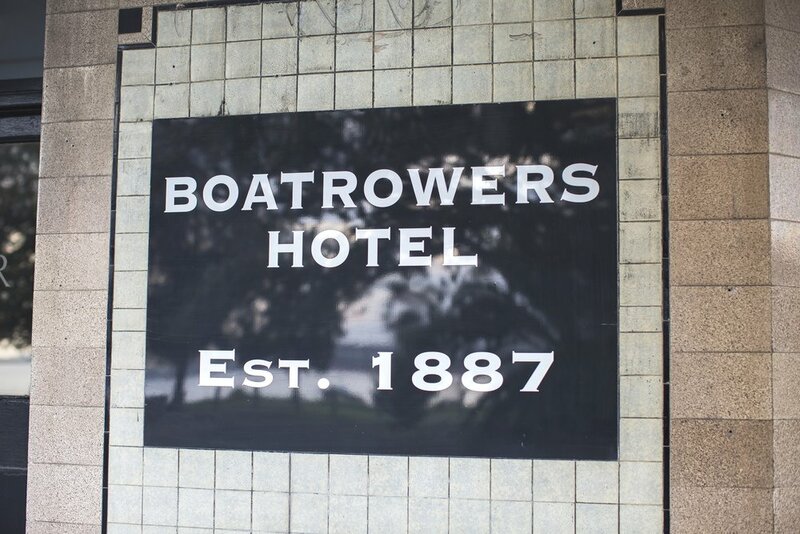 The original Boatrowers Hotel was established in 1887, with a licence granted to Mr David Hutchison. Tooth’s Ltd informed Stockton Council that it purchased the Boatrowers Hotel from trustees of David Hutchinson. The company intends to demolish the present structure, which is of weatherboard, and to erect an up-to-date brick building. The council had complained about the unsafe condition of the balconies, and had already decided to take action to force the estate to carry out necessary repairs. The advice from Tooth’s Ltd. that it intended to rebuild and that in the meantime steps would be taken to safeguard the public from any danger, in regard to the balconies, was considered satisfactory by the council. The new building was constructed in 1929 to plans by local architectural firm Pitt and Merewether, which designed many Tooth's hotel builds and rebuilds of the time. 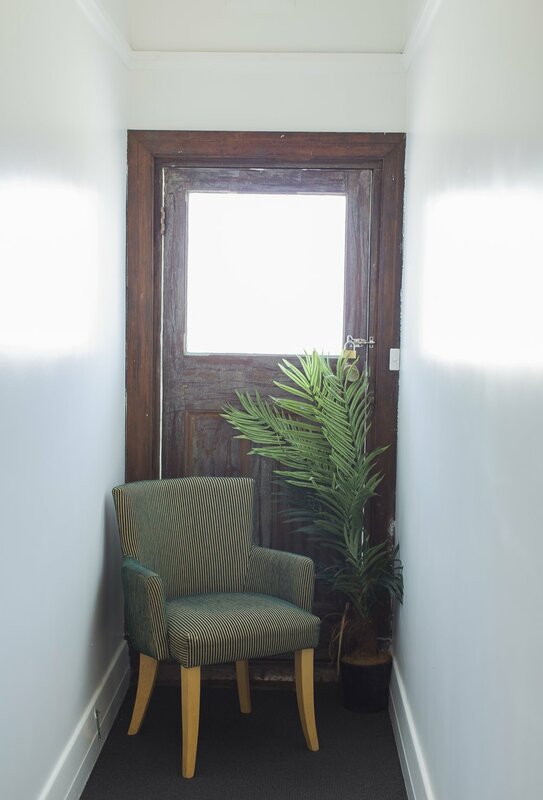 A similar style can be seen in the Burwood Inn Merewether, and the Exchange Hotel (now Lambton Park Hotel), both of which were also built in 1929. Pitt and Merewether also designed the Gladstone Hotel Stockton, in 1937.